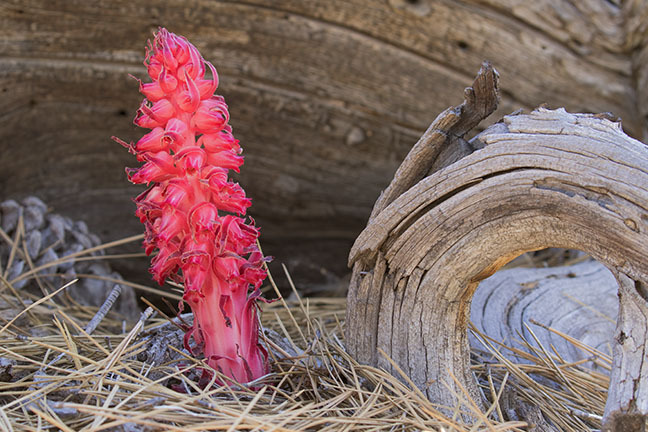 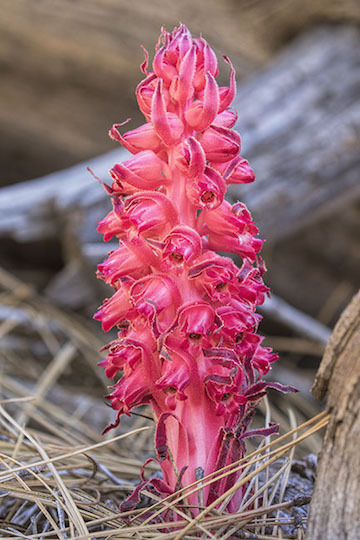 This striking plant is fairly common in the high mountains of western North America (Sierra Nevada, Klamaths, Transverse Ranges, etc.). 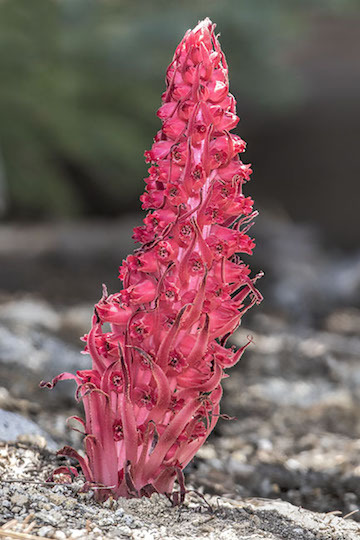 It is a parasite of the mycorrhizal fungi on the roots of conifers, and hence does not produce green photosynthetic tissue. 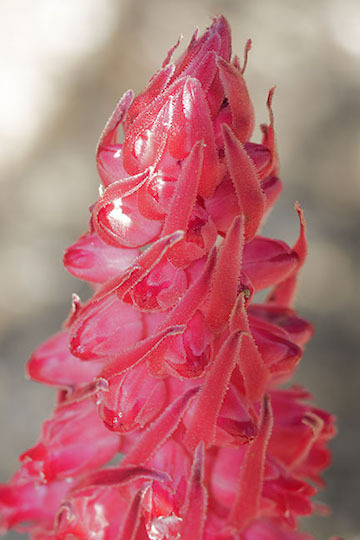 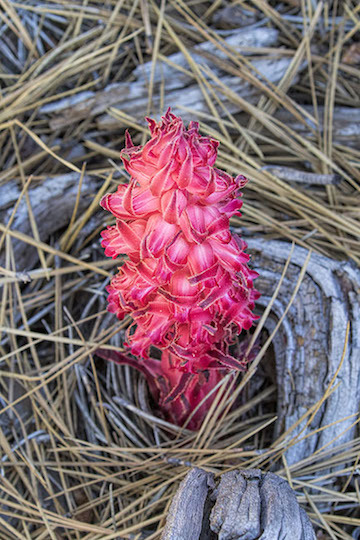 Since the bright red inflorescence sometimes appears early in the season when snow is still present, it gets the name snow plant or snow flower. 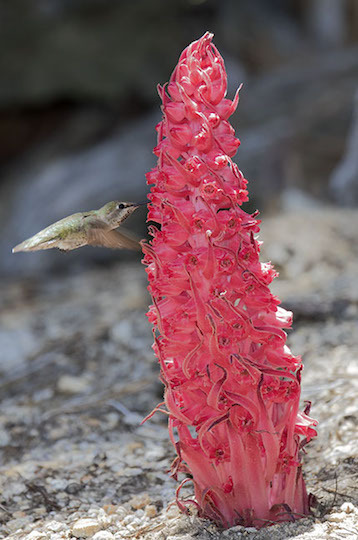 I photographed these near the Black Mountain fire lookout in the San Jacinto Mountains in Riverside County, California; apparently they are pollinated by hummingbirds, as I got a picture of a female hummer visiting one these plants.